If you are able to maintain a proportionate body weight, you are liable to live long and remain enjoying a healthy and active life. With the development of science and availability of facilities of life, people leading a city life in developed countries have grown a sedentary life style owing to which the number of over weight people is alarmingly increasing. The burgeoning fast-food society and lack of taking a regular exercise are contributory factors to this increasing sedentary life style — the villain of the piece. Healthier weight ensures a healthy life and healthier life in turn ensures and long and happier life. Studies have revealed that a Body Mass Index to the tune of 24.9 can add up to 8 years to your happy life. Having a healthy body weight means within-limit-blood flow will exert fewer loads on heart and hence low blood pressure. Attaining a low blood pressure becomes a must where there is a greater risk of sustaining high blood pressures. An overweight person can’t sleep well. Every now and then, he can be victimized by sleep apnoea — a condition attributed with breath choking during one’s sleep due to overweight. An obese human adult is much more vulnerable to a heart attack. So lose extra weight and avoid it. Losing weight is not always easy for everyone. It is partly a matter of your commitment with your cause and partly that of the difficulty level you are prescribed for the physical activity. 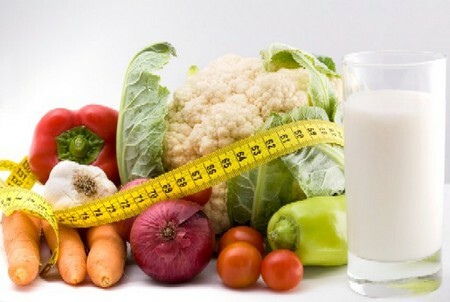 Before you proceed on maintaining a healthy weight, you should know the essential connection between the amounts of calories gained in the form of food and beverages you drink and the amount of calories expended over the course of routine physical activity, exercise and involuntary body functions, such as breathing, heart beat, digestion, etc. Tune your eating habits with the most nutritious food items, but low in calories, such as, vegetables, fruits, whole grains, low-fat dairy products, etc. To be healthy does not require eating healthy only; it also demands an appropriate measure of physical activity. However, you can control your growing calories through a regular physical activity that will burn all those extra calories gained. The process of losing weight through physical activity is not a matter of days. It requires patience and consistency for months to yield required results.